26 March 2016- The present epoch will perhaps be above all the epoch of space,” wrote Michel Foucault in 1967. Even while the French philosopher was composing “Of Other Spaces”, an exploration of human spatial awareness, his suspicions were being confirmed in the unlikeliest of ways. Two years earlier, a young Dutchman had taken over as the head coach at the Netherlands’ most prestigious football club, Ajax Amsterdam. Rinus Michels’s Ajax quickly made their home at the top of the Eredivisie and soon became the team to beat in Europe. By the time Foucault was proclaiming his “epoch of space”, Michels’s team were playing a brand of totaalvoetbal (“Total Football”) in which space was everything. And right at the heart of this space was a player who would go on to change the world of football—Johan Cruyff, who died on March 24th, after a long battle with cancer. 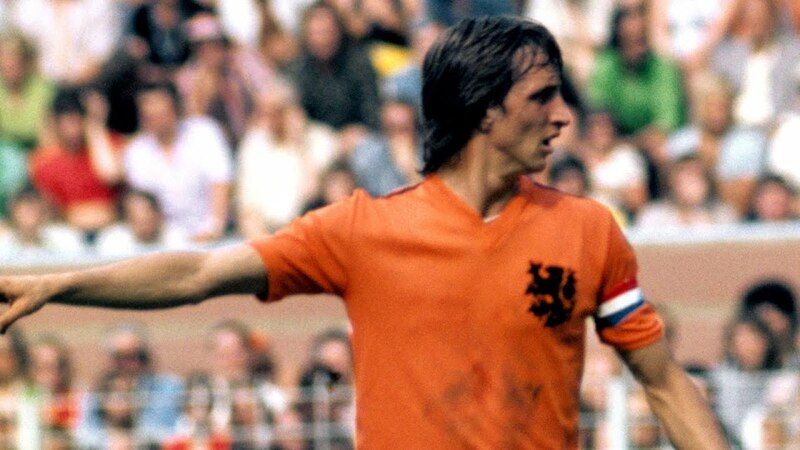 As a player, Mr Cruyff was Total Football’s iconic exponent, enjoying enormous success: he won three consecutive European cups at Ajax, as well as eight league titles, before helping Barcelona to their first La Liga championship for more than a decade and picking up a final Dutch title with Feyenoord. One important trophy was missing from his collection: the World Cup, which eluded him in 1974 as West Germany stifled the Dutch in the final, winning 2-1. The title might have gone to Die Mannschaft, but the tournament belonged to Mr Cruyff, who graced it with two moments of genius. The first was in a pool match against Sweden: an outrageous feint, or “Cruyff turn”, with which the Dutchman evaded a defender, opening a pocket space where there had been none. The second came at the beginning of the final, as he scythed through the German midfield to win a penalty after a string of 16 passes from the kick-off, a move which had probed each quarter of the field. The Netherlands scored before their opponents had even touched the ball. After leaving the field of play for the final time in 1984, Mr Cruyff continued the tradition of totaalvoetbal from the manager’s dugout. Beginning at his beloved Ajax, Mr Cruyff implemented the same values that had been instilled in him by Michels—finding space when in possession, denying the opposition space when out of it. It was on the foundations laid by Mr Cruyff that Ajax would go on to win the Champions League in 1995, playing Louis van Gaal’s more mechanistic form of Total Football.It was at Barcelona, though, that Mr Cruyff’s legacy was greatest. When he returned to Catalonia as manager in 1988, Barcelona had won two league titles in 28 years. In 27 seasons since, they have won 13, as well as five Champions Leagues; under his tutelage they topped La Liga four times in a row, and lifted the European Cup for the first time. From the point he took over, a line of continuity can be traced to this day. Each successive coach has been a disciple of Total Football. Though individual styles may have varied, the fundamentals remained the same: the game is about space—if you can control that, then you will win.